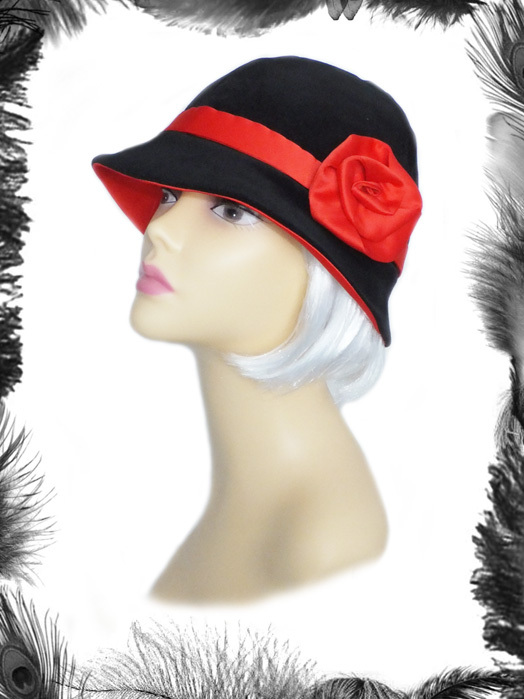 1920s Style Velvet & Satin Cloche Hat. 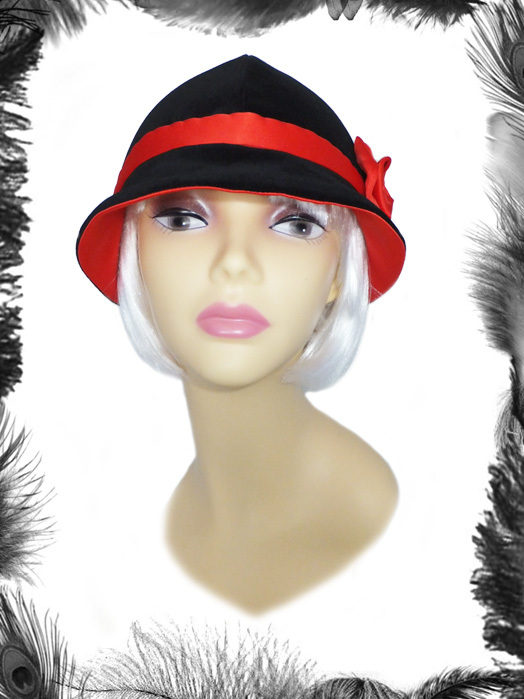 Elegant & Sophisticated Flapper Style. 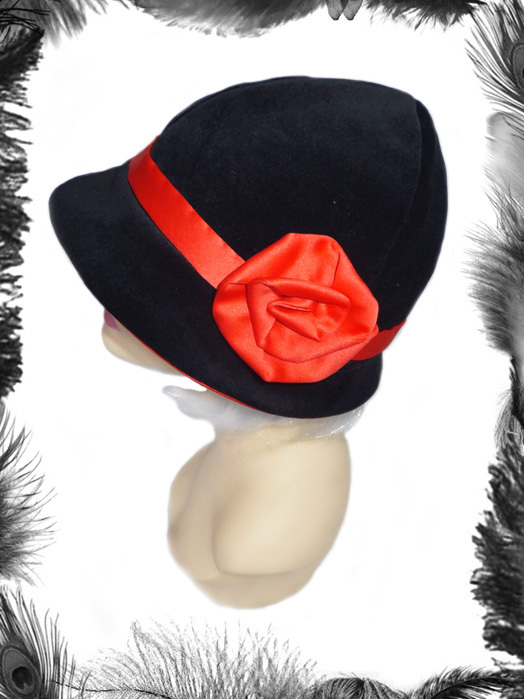 Made from the highest quality cotton velvet, lined and trimmed with duchess satin also of the highest quality. Velvet (see image): Black, Red, Purple, Burgundy, Green, Blue, Brown. 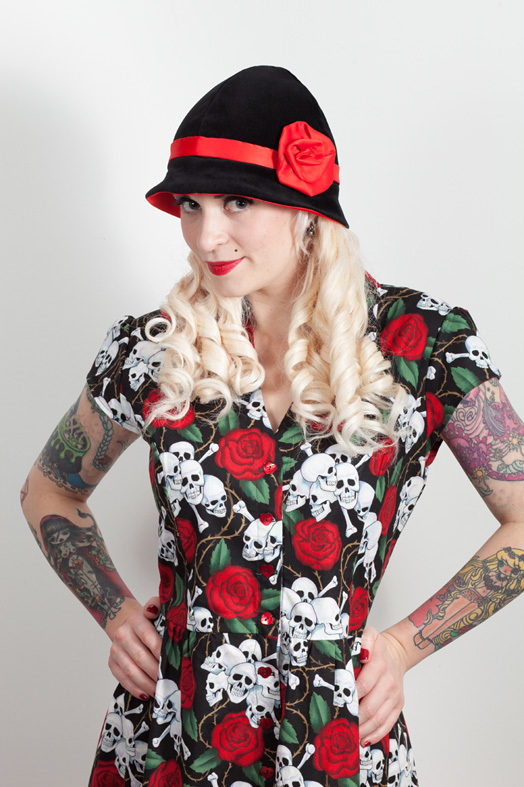 Duchess Satin: Red, Black, White, Wine. Measurements: Sizes in head circumference measurement, ensure to check your size adding about 0.5 inches for comfort. 22" 23" 24" 24.5" 21.5" 22.5" 23.5"